The leaves in the valley are starting to turn orange, brown, and yellow; all colors of the fall. The temperature has also been on the decline despite the triple digit heat wave that we had last week. 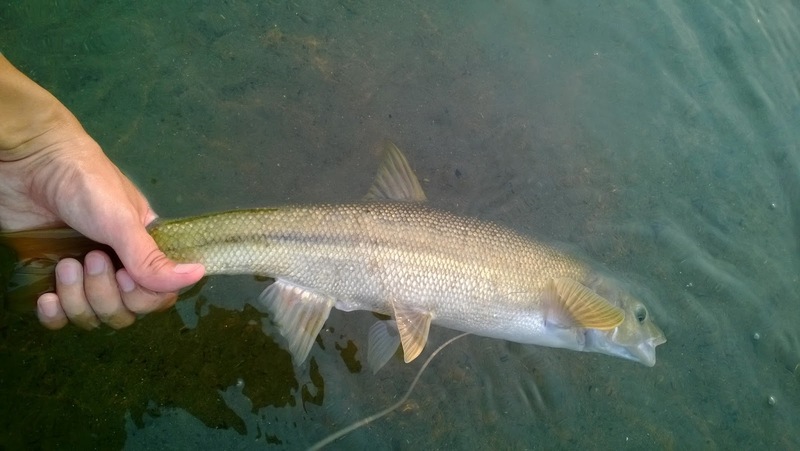 September is a transitional month leading into October, one of the best months to go fishing. Although September can sometimes be hot all the way up until the following month, we have been blessed this year with early lowering temperatures. If timed right, you can find excellent angling opportunities as the fish go on a feeding frenzy to prepare for the winter. I haven't gotten out much due to the heat but here is just a little update on my recent trips to the Yuba and Shanghai Bend. Upstream of HWY 20 bridge is now closed until December 1st, therefore anglers will now have to concentrate downstream of the bridge. The Lower Yuba River in the fall is one of the most pressured valley waters during the salmon egg bite. 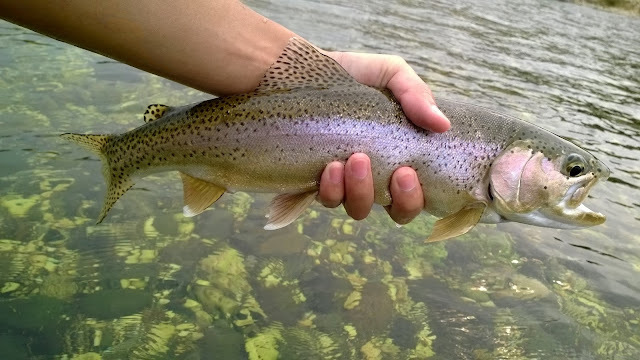 The river is easily wadeable and a lot of fish are on the bite meaning possible crowded conditions. Hopefully the salmon won't have too much of a problem moving upstream this year which such low conditions. The egg hatch doesn't really start until late October so until then its either nymphing or streamers. With lower water levels, >600CFS, nymphing can be more productive throughout the day than streamers but streamers will always produce better quality fish. There is also a late evening caddis hatch for dry fly enthusiast. This trip I decided to try something different with my presentation. I've read about using a full sinking fly line for streamer fishing. So far I've only used floating line and sink tips so this was an experiment to find which was more productive. Armed with a type IV full sink line, I tried my luck. The day was overcast and I actually got rained on earlier in the morning; the first raindrops of the fall. It was a great day to be out on the river and I had it all to myself. This marked my first time throwing streamers downstream of the bridge and I did pretty well considering how low the water is. The day ended with five hits, three takes, and two landed all on the Hero Sculpin. Nice healthy 16''+ bows too. 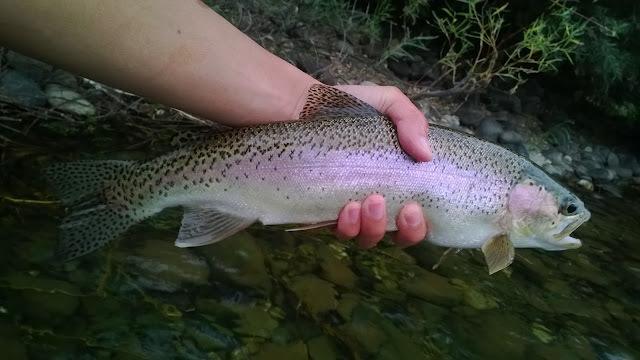 After catching a few trout on the Yuba River, I ended the trip with a visit to Secret Pond. 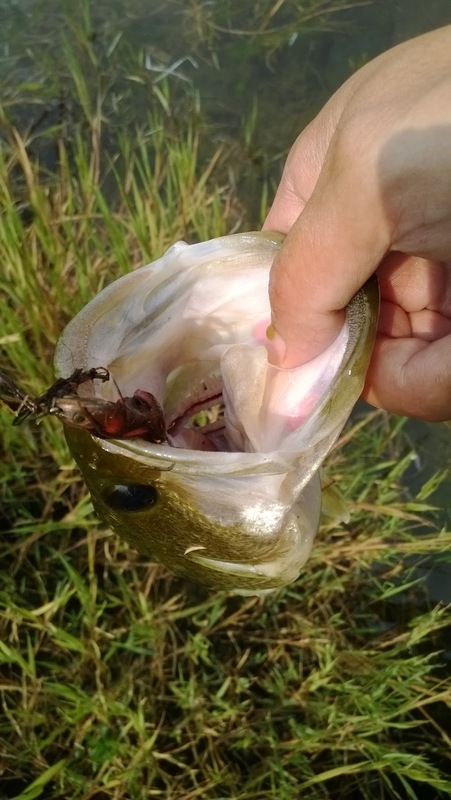 The bass are on the feed and are all post-spawned leaving them skinny and hungry. The sinking line worked great for the pond and caught me a few nice bass. These largemouth aren't as hard fighting as Yuba bows but they are super fun to catch. The Feather is where I first tested out my full sinking line streamer set-up. It took a bit of time to get use to the casting and retrieving, but I eventually got the hang of it and caught a few bonus fish. 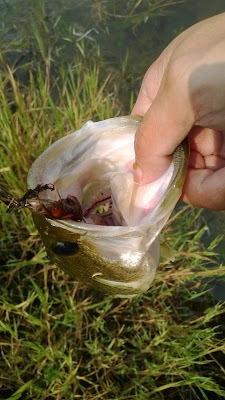 The bass out here are abundant but they really like to sample the fly versus eating it. I'd like to fish the Truckee but the drought conditions are really messing up the flows there. As of right now it's bare minimum below Boca. 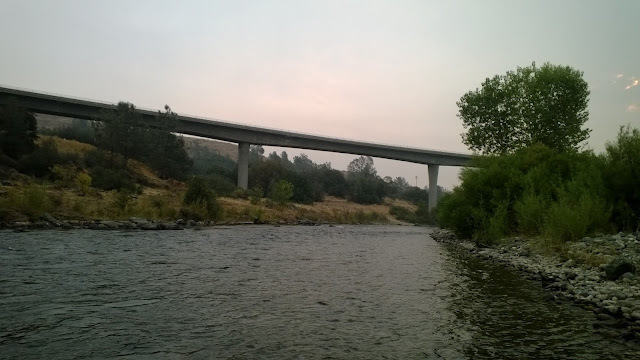 A lot of California anglers are leaving the Truckee alone until the flows come back up. I'm going to try and get back up to Plumas County to fish Lake Davis and the North Fork of the Feather. The fish are beginning to turn on for the fall bite and there is little fishing pressure right now. This is the perfect time to get in on the action before the fall rush.